Despite its popularity in some of the Californian brick and mortar gambling establishments, mentioning Pai Gow Poker among online casino enthusiasts just a few years ago would have hardly warranted any attention. Nowadays, it’s one of the hottest table games available at US-facing gambling casinos, so it should come as no surprise that more and more online casino operators allow their customers to clear their bonuses while playing this exciting game. The rules are fairly simple, especially since it’s pretty much a westernized version of a popular Chinese domino variant. Pai Gow Poker is played with a 52-card deck and a single joker on tables designed for six players and a dealer. Each player receives seven cards and has to create a five-card hand and a two-card hand in an attempt to defeat the banker. What’s more, the five-card hand must contain a stronger combination than the two-card hand. Usually, Pai Gow Poker games follow the standard poker hand rankings when it comes to determining the winner, but some casinos – particularly in Nevada – rank an A-5 straight above a king-high straight, which makes it inferior only to a straight from ace to ten. Nevertheless, this rules doesn’t apply in every casino, so I’d generally recommend reading the rules before joining the table to avoid unnecessary misunderstandings. Another important aspect of Pai Gow Poker is the role of the joker. Usually, this card can be used to complete any straight or a flush whenever possible – otherwise, it counts as an ace. Keep in mind that some casinos expand on this rule and treat the Joker as a wild, which means it will always count as a card that’d result in the most advantageous combination. It’s also important to point out that winning both hands is needed to receive a payout; whenever the banker wins one hand and the player wins another, the hand is considered to be a “push” and no money transfer occurs. Obviously, if the banker wins both hands, you lose the money you staked. The house advantage in Pai Gow Poker lies in the fact that the dealer wins all ties – so even if you manage to win one hand, but tie in the other the outcome is still a push. As you can see, winning in Pai Gow Poker takes a lot of skill and a fair amount of luck, which is why I’ve prepared a short review of the top 3 US catering casinos that allow you to earn lucrative bonuses while playing this game in order to help you stack the odds in your favor. High Noon Casino may be based in the United Kingdom, but it’s definitely one of the most US-friendly online casinos I’ve seen in my entire online gambling career. The casino offers plenty of Slot, Blackjack, Roulette and Pai Gow action, but the important part here is the fact that it also offers a $500 Welcome Bonus, which is a 100% match on your first payment and which can be cleared entirely by playing Pai Gow Poker. 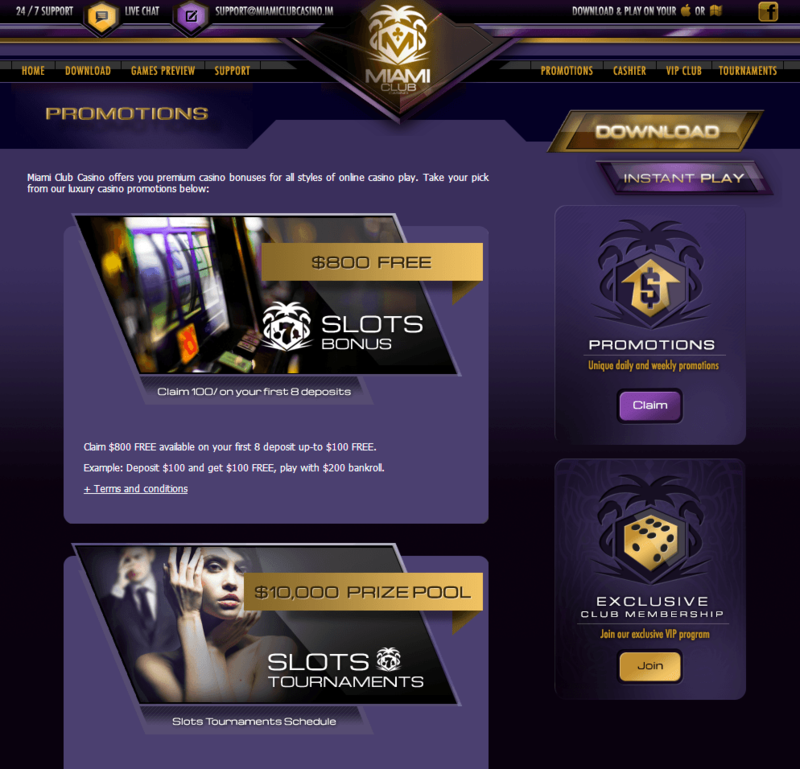 All you have to do to access this particular bonus is to use a coupon code HIGHNOON100 when making a deposit, but if you want to play Pai Gow don’t make the mistake of going for the $2,000 bonus with a 200% match on your deposit, as the only games available for clearing it are Slots, Scratch Cards and Keno. High Noon Casino supports the following deposit options: Visa, MasterCard, Instadebit, Eco, Click2Pay, Neteller, and MyPaylinQ. All payments will be credited to your account without any unnecessary delays. Keep in mind that the maximum amount of money you can deposit is $1,000, while the minimum is $20/$21, depending on the banking method you choose. Withdrawals on the other hand can take from 10 days in the case of a standard wire transfer to a few hours tops if you decide to go for InstaDebit, ECO Card or Neteller. The minimum size of your cash out varies from method to method, but it’s important to remember that the maximum withdrawal is always $4,000 per week – any requests for a larger amount will be paid in weekly installments. 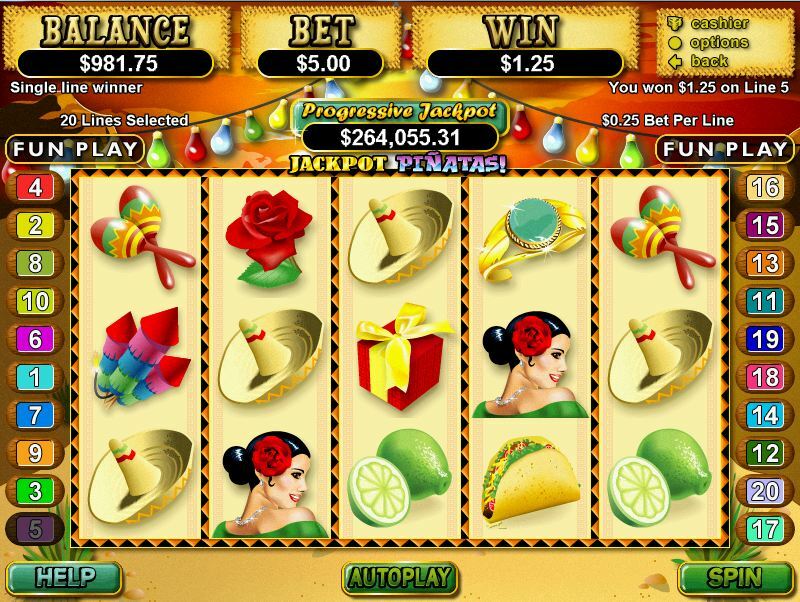 Read the High Noon Casino Review for more information on why High Noon Casino is one of the best places for USA players to play Pia Gow online. 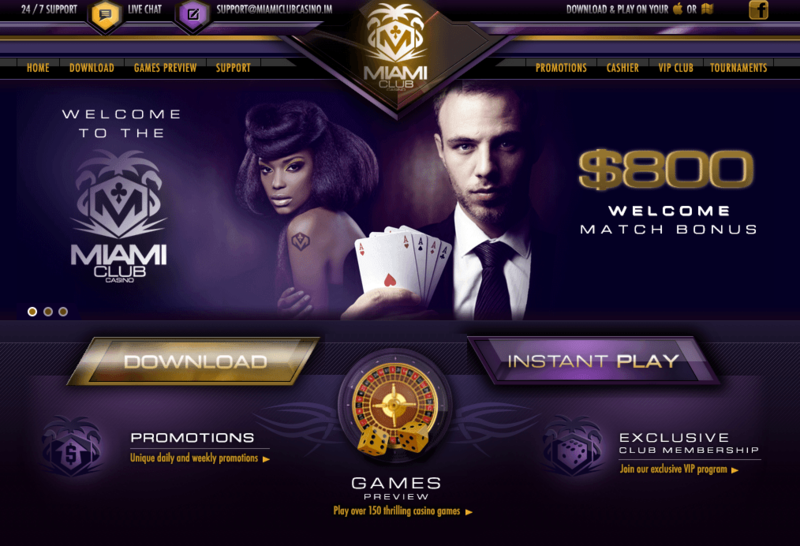 MiamiClub is well known for being extremely friendly to US customers despite all the annoying regulations plaguing the online casino market these days. 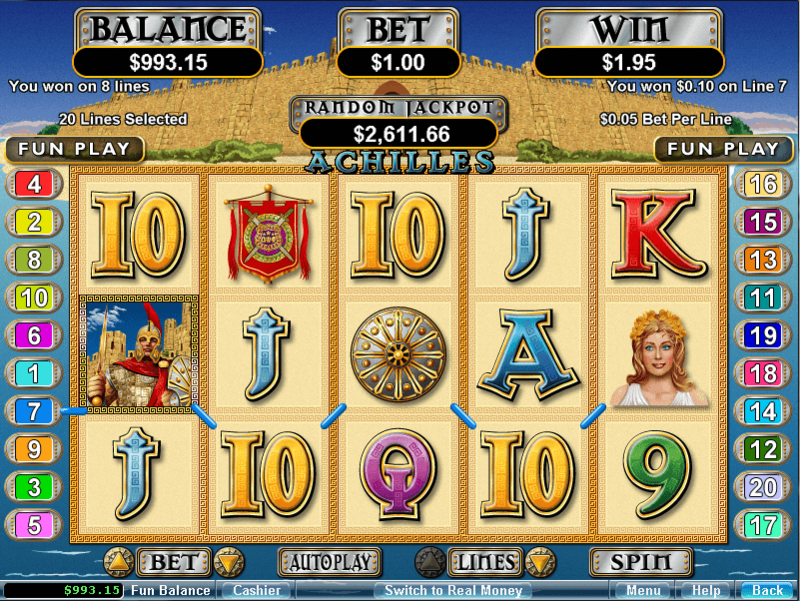 Aside from Pai Gow Poker, the available games include numerous Slots, Blackjack, Roulette and Video Poker offerings. The only Welcome Bonus mentioned at the casino is called Slots Bonus, but once you check the terms and conditions you’ll notice that it can be cleared while playing Pai Gow. The amount of money you can receive is $800, which is a 100% match on your first eight payments. Please be advised that the promotion has a wagering requirement of 20 times the sum of deposit plus the money and unlike Slots, Pai Gow has a rather low game multiplier of 10% – but in the end it’s still one of the better offers available at any casino site these days. The supported deposit methods include Neteller, Skrill, Eco and QuickCash, as well as all the popular credit card types like Visa and MasterCard. Keep in mind that when it comes to withdrawals, the only accepted method when dealing with American players is wire transfer, which may take up to 10 days and is charged $45. Unfortunately, Miami Club Casino does not cash-out to the credit cards that were used when making your payments due to legal restrictions. 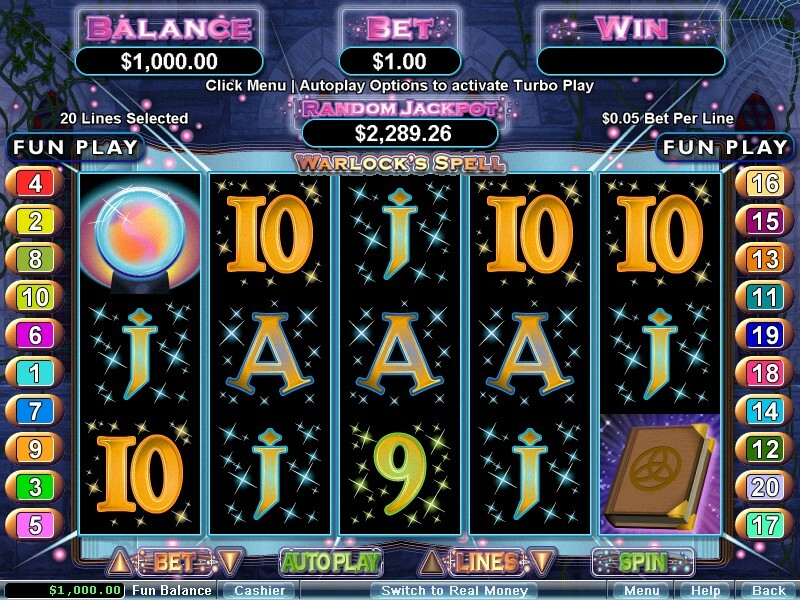 The maximum amount of money you can withdraw is $2,000 – and just like in the case of High Noon Casino, if your request exceeds that sum, you’ll receive your money in $2,000 increments on a weekly basis until the entire request is processed. 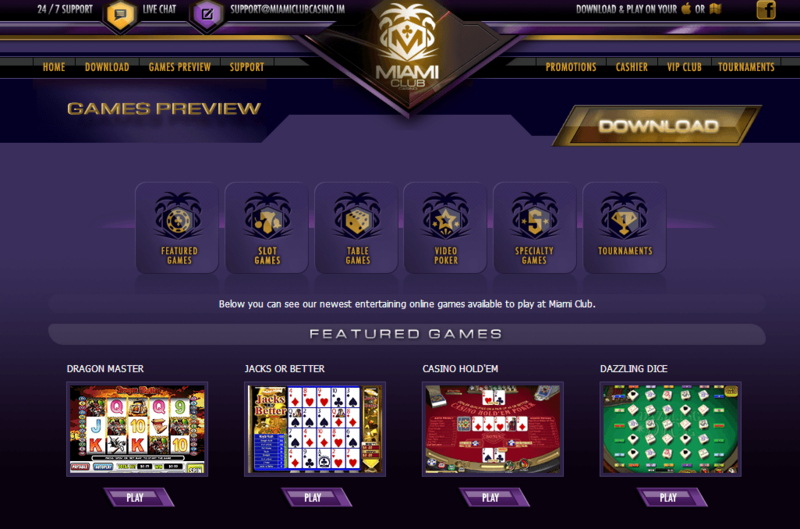 Read the Miami Club Casino Review for more information on why Miami Club Casino is one of the best places for USA players to play Pia Gow online. 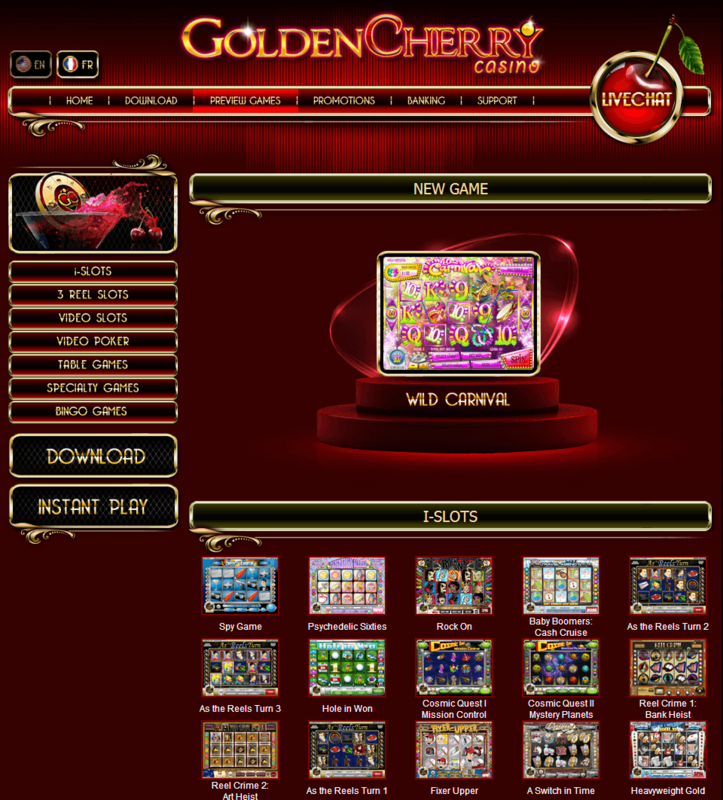 Golden Cherry is yet another US-facing casino with plenty of quality games for your enjoyment, such as Keno, Slots, Video Poker and numerous kinds of table titles, including Pai Gow Poker. The casino has a neat $888 Welcome Bonus, which will give you a 50% match on the first two of your deposits – up to $444 each time. To activate the bonus you’ll have to redeem bonus codes CHERRY1 and CHERRY2 on your first payments, but the important part is that this bonus can be cleared by playing Pai Gow Poker with the bets counting as 25% of their original value towards play-through. Please remember that in order to withdraw winnings from this promotion, you’ll have to wager the bonus and deposit amount 40 times. When it comes to banking, Golden Cherry accepts deposits via credit card, Eco, Neteller, Ukash, ClickandBuy as well as the standard wire transfer; the minimum deposit amount is $25, while the maximum is $1,000. Deposits are processed instantly, while withdrawals may take between 5 and 10 business days. The minimum cash out is $100, while the maximum is $2,500, and any cashouts that exceed this value will be paid in weekly installments.